Now, after reading that you might still be none the wiser as to what SEO is. But that’s only because you don’t understand SEO terminology. SEO is when you change certain aspects of a web page, then get people to link to that page, so that you get more visitors to your website. Hopefully that’s cleared up any confusion. Use a step-by-step SEO plan to ensure that people searching the web can find you. The vast majority of website owners choose option #1, hoping that their snazzy new website will get lots of Google love. While that’s a nice idea, we can assure you that it never, ever happens. The people who choose option #2 follow a tried and tested process for ranking their site in Google and attracting lots of free visitors. SEO is important for you because it gives you a huge advantage over your less-knowledgeable competitors. Why Does Search Engine Optimisation Exist? Google’s entire business model is based on one simple idea: Provide people with the best possible answers to the questions they type into the search bar. In an ideal world Google would simply be able to automatically figure out which site offers the best answer to a question, and send that searcher your way. That day will come, but it’s not here just yet. In the meantime you need to provide Google with a series of indicators and clues to tell them what your site is about. And that is how you “do SEO” – you give search engines just enough information about your site for it to make sense for them to come take a look at it. Google doesn’t actually like the idea of search engine optimisation, because it means you’re taking deliberate steps to improve how your site ranks. But if you want to rank in Google (or any search engine) then you have no choice but to learn SEO. Nobody mentioned that before I arrived here…and it all sounds a bit confusing. There are three different types of SEO. 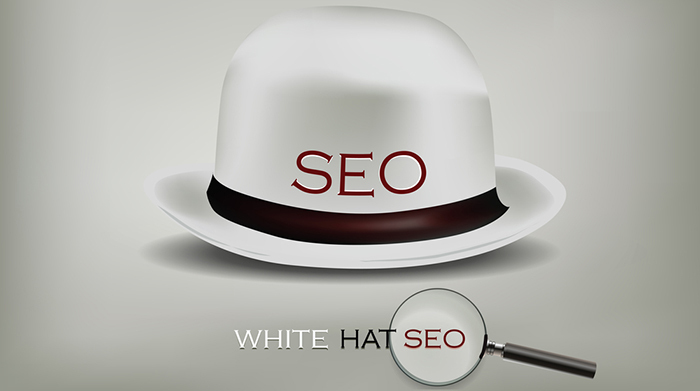 When somebody tells you they only do white hat SEO it means they use techniques and strategies that stick firmly to Google’s webmaster guidelines. White hat SEO can take longer to increase your traffic, rankings and ROI but you never run the risk of getting a penalty from a Google algorithm update. This type of search engine optimisation means developing a long-term mindset for SEO, and from where we stand it’s the only sensible approach because it protects you from future Google updates and penalties. It’s no fun having to reinvent the wheel every 6 – 12 months, which is exactly what most SEOs wind up doing because they’re chasing the next search engine, trick, gimmick or loophole. This type of SEO is made up of mostly white hat SEO, but with a hint of slightly more risky black hat optimisation tactics. Some SEOs use grey hat tactics to speed up how quickly they can make their customer’s pages rank in Google, usually by using powerful but sneaky links to trick Google into putting their site on page one. But when Google realizes they’ve been tricked they just switch off the flow of free traffic to your website…and you have to start all over again. And finally we come to the SEOs who will use any tactic, strategy or technique they hear about to rank a site in the search engines as quickly as possible. They do this in the full knowledge that Google will ban the site, and maybe the entire hosting account, once they catch up with you. There are still tens of thousands of people willing to buy into the myth that black hat SEO is somehow safe if you do it properly. This is despite all the evidence that it’s getting harder and harder to get results with black hat tactics. In fact, Google has cracked down so much on many black hat SEOs that they’ve become white hat SEOs instead. Kind of like when Darth Vader turned to the light side of the Force at the very end of the best trilogy of movies ever. The terms “white hat” and “black hat” come from the hacking community to show whether or not you’re the evil type of hacker, or the more benevolent type. Why did they choose these colours? Because the villain in a western always wears a black hat, and the hero always wears a white one. This stands for Search Engine Results Pages, or what page on Google (or another search engine) your site is ranking on for a specific keyword. So, the next time you hear somebody talking about SERPs they’re just referring to what page their site ranks on in Google. If you want more information on the subject WordStream have a great article on it. We’d recommend instead circling back to this link once you finish this guide– you’ll only distract yourself otherwise. What’s Organic Traffic and How Do I Get It? All search engine traffic is organic traffic, and this means nothing more than people found your site in a Google result, clicked on the link and then arrived on your site. Organic traffic is completely free. Well, it is except for the time or money you invested in search engine optimisation. This type of traffic can be extremely valuable when you get the right type. Oh no…there are different types of organic traffic too? To be fair, what we’re talking about here is the fact that not all keyword searches have the same value. Let’s say you own a business selling men’s clothing, specifically business suits. Would you want lots of organic traffic arriving to your site for the keyword “free business suits”? Obviously not, because that’s somebody looking for a freebie, and not a paying customer. Instead you’d prefer to have lots of organic traffic for keywords like “3-piece business suit” or “brown wedding suit”, for example. But…how do you get this magical organic traffic we’re talking about? You optimize your website by doing intelligent keyword research, follow Google’s advice on best practices, and stick to white hat SEO. Don’t worry, the keyword research section is coming up soon. The smart way to approach search engine optimisation is with a long-term focus. We know there are lots of “gurus” out there more than willing to promise you #1 rankings in six weeks…now all they need is your credit card number and CVV code. There was a time when you could rank any website in Google for any keyword in a matter of weeks, and even days in some cases. 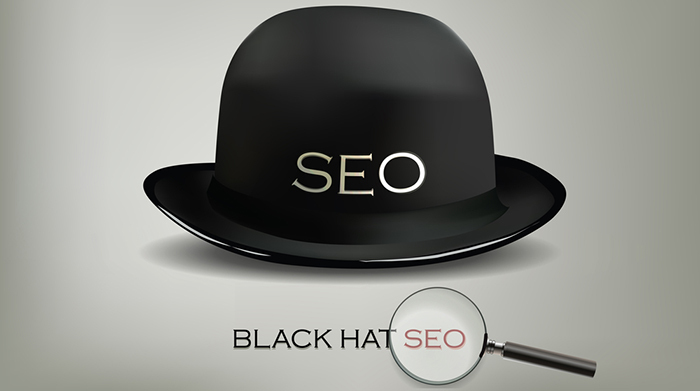 Anyone promising you unusually fast results is either using extreme grey hat SEO, or outright black hat SEO. Either way they’re a bad investment. A much simpler approach to ensuring that you get great results from your SEO for years to come is to build authority within your niche or market, and by building this authority you get Google’s “trust”. Another important aspect of building authority within your niche market is to ensure that each page of your site is relevant to the overall theme of your site. What we mean by this is that if Google comes to your site and finds that most of the pages are about wedding suits, but you also promoting gambling sites, then this will give you a lower relevancy score. And a lower relevancy score means lower rankings, and rankings means less traffic to your site. Remember that Google’s only job is to provide searchers with the best possible answer to the questions they’re asking. If you make that task difficult, they will simply ignore your site. The reality is that the world of SEO is changing, and sites that offer authoritative content are going to exist long after all the spammy sites have vanished into Internet history. As we mentioned at the start of this guide, the words that people type into Google to find answers to their questions are referred to as keywords. Good keyword research can be the difference between your site attracting lots of the right types of visitors, or no visitors at all. Most beginner’s guides on search engine optimisation will advise you to dive straight into a keyword tool and start typing in words or phrases related to your business. We actually advise against doing this. The reason why is because even the best keyword tools can lead you astray You get so wrapped up by all the information on display you forget why you were there in the first place. The best place to start your keyword research is with a pen and paper, sketching out what keywords you think people would type into Google to find your site. Ask yourself what types of questions would they ask? Would they use any specific types of jargon or terminology to find your site? Spend about 15 – 20 minutes writing down your ideas. Your next step is to then simply type each of these keywords into Google. Then scroll to the bottom of the page and you’ll see a section called ‘Searches Related To‘. We’ll go back to our example of “brown wedding suit” here. As you can see below Google actually tells you what keywords people are using to find brown wedding suits. Yes, you can rush out and spend £99 per month on some super-duper keyword research tool…or you can just use Google’s data instead. Now if you want even more searches than the ones you find there, we can recommend the amazing ‘Keywords Everywhere’ tool for Chrome or Firefox. It shows lots of other searches related to the keyword you just typed into Google. And yes, Keywords Everywhere is 100% free. What’s The Difference Between Broad and Phrase Match Keywords? This aspect of keyword research is something SEO beginners often find confusing, but it doesn’t need to be. A Broad match keyword is where you type something like “best wedding suit” (without the quotes) into Google. This produces 767,000,000 (767 million results) because Google is showing you every page that includes any of the words “best” “wedding” and “suit” in your results. A Phrase match keyword is where you use the search term “best wedding suit”, but this time you include the quotes. You now only see 109,000 results because Google is only displaying sites that have that exact Phrase somewhere on the page. We recommend to only ever do keyword research using Phrase match keywords, and this is exactly what most keyword tools do in the background. Many moons ago you could rank in Google by simply including your keywords several times on the page, in strategic locations. This obviously made it very easy to rank your pages in Google for whatever keywords you wanted, often in just a few weeks. Google realized their search results were being manipulated, allowing spammy pages to rank on page one of their search results. This left them with no choice but to change how Google Search works, and they rolled out the infamous Google Panda Update. SEOs and affiliate marketers using keyword density tricks saw their sites disappear from the SERPs overnight. 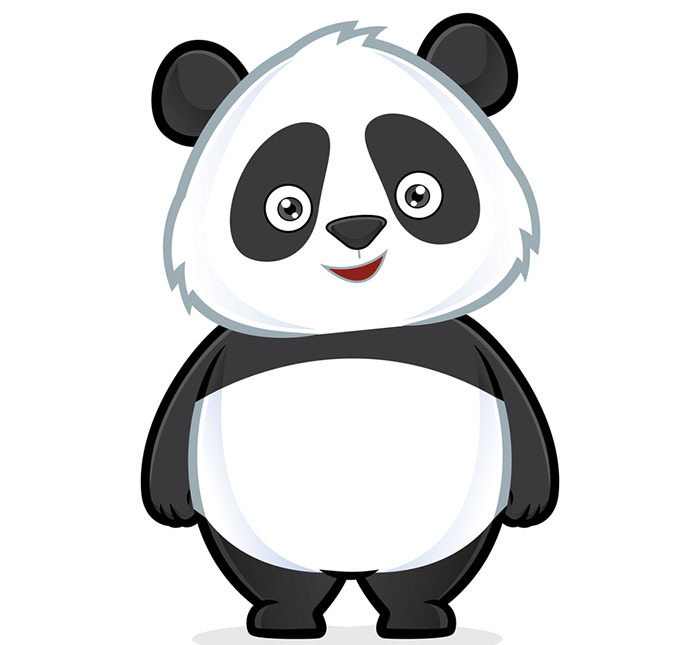 The impact of Google Panda was so serious that it forced many SEOs and affiliate marketers to quit and go back to their day jobs. There is no “secret keyword density formula” that will help you rank in Google – it’s just an SEO myth peddled by people who are trying to sell you the equivalent of magic beans. Your eyes probably glazed over at the thoughts of complex mathematical calculations. But the truth is that LSI is actually very straightforward – it’s how Google tries to understand how the words on a page relate to each other. It’s about the overall “theme” of a page. Let’s use our earlier example of “wedding suits”. Google would obviously expect to find that keyword on a page about wedding suits. But what about the other keywords related to wedding suits that might also appear there? Here are some examples: wedding, suit, shirts, groom, collection, suit hire, formal shirts, hugo boss, grooms suits. Both human searchers and Google would expect to find keywords like these used somewhere on the page, because it’s about wedding suits. But if Google doesn’t find those keywords on the page they could assume the page has no content, and is therefore low quality, or isn’t related to wedding suits at all. And that’s what LSI means – including relevant, “themed” keywords on a page of content because they would and should appear there naturally. Here’s a great video that explains what LSI is and why it’s important. You might have heard friends and co-workers talking about Google algorithm updates, but you didn’t ask any questions because you’re not really sure what an algorithm does. Most of the people you hear talking about algorithms don’t know what they do either. An algorithm is simply a set of mathematical rules that produce a specific result. In the case of Google their original algorithm was based on two very simple principles. The first of these was to look at how many links were pointing at a website, the second was what those links said about it – what words were used in the hyperlink. Believe it or not this is what allowed Google to eliminate Yahoo, AltaVista and all other search engines competitors in a matter of months. Since then Google has modified their core algorithm on a regular basis to facilitate better search results for their users. Most Google algorithm updates were benign in nature, simply looking to provide searchers with a better user experience. But unfortunately black hat SEOs eventually polluted Google with so much spam that they were forced to release far more extensive algorithm updates to make their search engine usable again. The spamming got so bad at one stage that many people stopped using Google and started using Bing and other search engines instead. Google came close to losing their control over the search engine market, so they took drastic action. You can read about all the most recent Google algorithm updates here. Why do some people freak out when Google updates their algorithm? To be honest the only people you see worrying about these updates are people who have been using grey or black hat SEO to manipulate Google to rank their website – or worse again, their clients’ websites – higher in the SERPs. It is highly unlikely that your website will be penalised by Google during an algorithm update if you are using purely white hat SEO techniques and strategies. Now we need to take a look at the two key areas of SEO that anyone interested in search engine optimisation needs to spend time learning. There are lots of expensive SEO training courses out there that cover the same information we’re about to share with you here, except we’re not charging for it. In fact, we want to make sure you don’t buy one of those courses unless you really feel the need to. If you can get your head around the concepts we share here, you’ll know more about how search engines work than most digital marketers. This refers to all the elements of a page which you can alter to enhance and improve its ranking in Google and other search engines. The weird thing is most SEO’s are obsessed with building backlinks to websites, completely ignoring on page SEO opportunities in the process. What we’re about the share with you here are best practices for optimising your site to get the best possible rankings in Google…and potentially without ever creating a single link. Once upon a time the only thing you needed to do to rank in Google was to stuff keywords into your Title, Meta Description, and Meta Keywords tag. But you should still spend quite a bit of your time optimising your meta tags for Google. You can ignore the Meta Keywords tag however, as it no longer matters. We still see a worrying number of SEO agencies implementing the Meta Keywords tag on client websites, even though they know it will have absolutely no effect on the site’s ability to rank in search engines. This is the first line of text you see in Google search results when you use a keyword to find information on a given product or service, as illustrated below. The only thing you need to concern yourself about is to include a keyword you wish to rank for in your Title tag, and making sure your it isn’t any longer than 65 characters. If you’re not sure how many words that is, just use a site like Letter Count to help out. 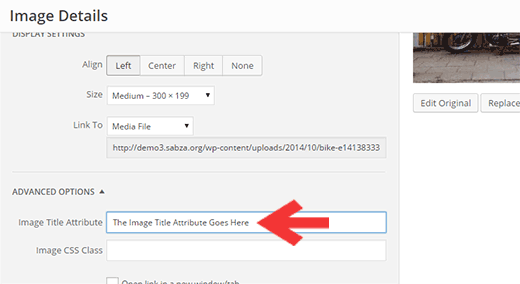 You can add a Title tag to your page by using the Yoast (or similar) plugin for WordPress, or the relevant SEO tool for your own website. Please don’t stuff your title tag full of multiple keywords because Google will see that as an attempt to manipulate the search results and may actually demote your site in the SERPs as a result. The best way to use the Meta Description tag is to firstly include an additional keyword that you’d like to rank for, or a variant of the main keyword used in your Title tag. You can add a Meta Description tag to your page by using Yoast, or whatever SEO tools come as part of your website. You should also write your Meta Description tag in a way that would entice a searcher to click on your result in the SERPs. How do you get them to click on it? Brian Dean has a great blog post on this subject – conversation rate optimisation. Hx tags were pieces of HTML code originally used on webpages to create headings and sub-headings within a page of content. They were also a great way to give Google a strong clue about what keywords to rank your page for. But most SEOs you speak to these days will tell you that using H1 – H6 tags is a waste of your time. We can agree with them on one point, and that is that using the H4, H5, or H6 tags isn’t worthwhile. But you absolutely should make sure that you are using H1, H2 and ideally H3 tags on each page of your site. This actually happens naturally on most websites because the headline of your page should automatically be enclosed by a H1 tag, without you having to do anything. Each of the subheadings on your page should automatically be enclosed in a H2 tag, and any sub subheadings should be enclosed in a H3 tag. Your main keyword should be included in your H1 tag and any additional relevant keywords should be used within your H2 and H3 tags on each page. The odd thing is that black hat SEOs use Hx tags extensively because they know how powerful and safe they are for on-page optimisation. 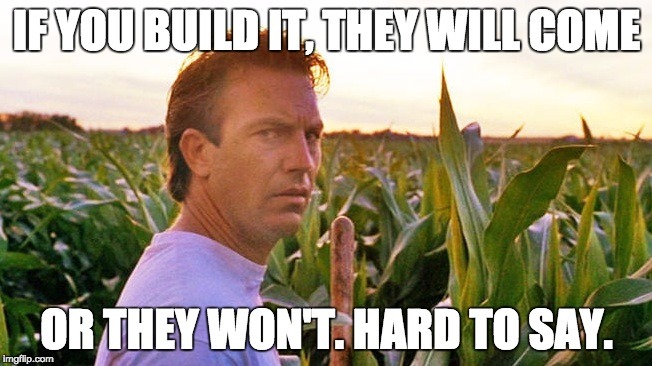 The majority of other SEOs ignore them because somebody told them to. Many businesses are willing to pay several thousand dollars per month just for on-page optimisation of a site. And they do this quite happily because they know they’ll see long-term results from professional on-page optimisation. Google can’t read images in the same way you can. So you have to tell them what the image is about by putting keywords in the filename of the image, and also using a special command called an Alt tag. You’ve probably seen Alt tags before and not thought about them – they usually appear when you hover your mouse over an image. Let’s say you have a website all about inkjet printers, and you use your camera to take an image of a brand new Canon Pixma. The camera automatically names the file as DSC44596.jpg. So when you add it to your site Google can see a file called DSC44596.jpg, but has no other information on the image because you didn’t include an Alt tag. Canon-inkjet-printer.jpg and “Canon Pixma Injet printer” lets Google know exactly what this image is about and where to display it in Google Image searches, for example. You should always use Alt tags on every image of your site. Internal links are also an important part of any comprehensive search engine optimisation plan. Should you include internal links on every page of your site? Only if they’re both relevant and useful for your visitors. Some SEO “experts” will tell you that you should never link to other websites from your own. Their reasoning for this is because you’ll accidentally send visitors to another site, and they might stay there. Here’s a question for you to think about for a moment: Is it natural for any website to never link out to other sites on the Internet? The answer we hope you came up with is “No”, and that’s exactly what Google would think too. Linking to sites that your visitors might find really useful is a great idea, and you can even win some Google brownie points by doing that. Here’s a great case study on whether or not linking to external sites can help your search engine rankings. You’ve probably heard that “content is king” in digital marketing, and as time goes by this is becoming more and more relevant for achieving long-term results in Google and other search engines. But the difference is now that the type of content you need to publish to get Google’s attention needs to be authoritative. This is a fancy way of saying that the pages or posts you write should provide comprehensive and in-depth answers to a searcher’s query. In the future this approach will become even more important as Google voice search slowly starts to take over from normal search. Just remember that when you create content it should be optimised for the reader and not just for search engines. Far too many SEOs are still trying to create content that is for search engines first, and for visitors next. We can assure you this does not produce the types of results it once did. Google recently released an update to their core search engine algorithm. This update introduced something called Google RankBrain. RankBrain has one single task, and that is to measure how searchers interact with your page once they land on it. What this means is that Google now measures how long a person stays on a page before they click away from it, and how often that page is clicked on in the first page of the SERPs. Google then runs a calculation in the background to assess how well you are answering the searcher’s query. They will either give you a boost in search engine rankings as a result, or push your page further down the search results if you’re not doing a good job of answering specific queries properly. Providing a positive user experience is now part of the process for ranking in Google, and that includes not forcing pop-ups or advertising on visitors before they get a chance to find the information they were looking for. How Long Should My Pages Be? There’s a lot of talk online right now about the “perfect” length for a web page. 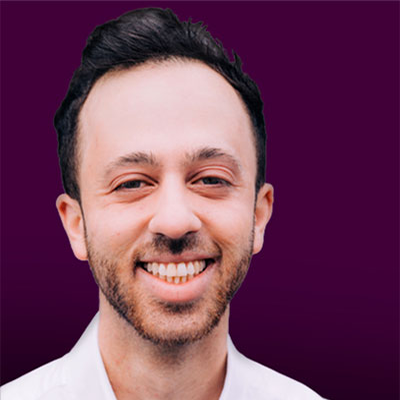 SEO guru (and we mean that) Brian Dean ran a huge case study where he found that most of the pages that rank on page one of Google are at least 1,800 words in length. If you analyze enough pages you’ll find that the SERPs have lots and lots of pages that are much shorter. In fact, some of them only contain a few hundred words of text, at best. Because they offer relevant information that answers a searcher’s question, so Google ranks them on page one. If that means you can fully answer a searcher’s query in 500 words, then that’s exactly how long your page should be. But, if you need 2,750 words to cover the topic in adequate detail, then that’s exactly how long your page should be. This aspect of search engine optimisation comes down to one simple thing: building links to your site. Now, the weird thing is that Google actively tells Webmasters that building back links to their website, by asking people to link to it or by paying for links to your site, is actually black hat SEO. It is completely against their Webmaster guidelines. The problem with this is that although you can use just on-page optimisation to get a page to rank in Google, in the real world you do actually need to get at least a handful of links if you want to rank on the first page of the SERPs. So, this leaves you with a little bit of a dilemma because you need links to allow your website to rank on the same pages as your competitors, but Google doesn’t want you to do that. And this is where an intimate understanding of white hat SEO is critical. There are perfectly legitimate, and safe ways for you to build back links to your web pages, but very few SEO’s are actually willing to put the work in, or to wait several weeks to see an improvement in ranking. Instead they focus on trying to trick Google into giving them higher rankings by using shady optimisation tactics like buying links, blog comment spam, and anything else they can think of. But what this ultimately means is that the site will either be pushed down to page 20 of the search results, or in extreme cases Google will simply remove the entire site from their SERPs. Congratulations, you’ve completed our guide on SEO for beginners. Did any particular section give you a “Eureka” moment? Why not share that with us by leaving a comment below .